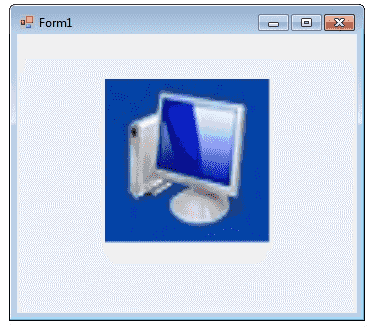 The Windows Forms PictureBox control is used to display images in bitmap, GIF , icon , or JPEG formats. You can set the Image property to the Image you want to display, either at design time or at run time. You can programmatically change the image displayed in a picture box, which is particularly useful when you use a single form to display different pieces of information. The SizeMode property, which is set to values in the PictureBoxSizeMode enumeration, controls the clipping and positioning of the image in the display area. There are five different PictureBoxSizeMode is available to PictureBox control. AutoSize	- Sizes the picture box to the image. CenterImage - Centers the image in the picture box. The PictureBox is not a selectable control, which means that it cannot receive input focus. The following C# program shows how to load a picture from a file and display it in streach mode.